SUNY at Albany received a A. "Self-starters at affordable SUNY Albany will find that "this is a university with tremendous opportunities" and strong pre-professional programs in areas such as education, criminal justice, business, psychology, public administration and social work. The social scene offers something for everyone, but the party scene here is definitely heavy-duty." Describe the type of student who should attend SUNY at Albany. Why? SUNY at Albany is a diverse school, however an outgoing student should consider UAlbany. The school has hundreds of clubs and organizations, as well as extra educational opportunities that a social student would engage in and be able to flourish. What is a typical SUNY at Albany student like? Describe the type of person that should attend SUNY at Albany. What are the top 3 reasons someone should attend SUNY at Albany? What was a typical SUNY at Albany student like in high school? Describe the type of person that should attend SUNY at Albany. Many people are from the city, and many people did well in high school. The dean's list is very long. Offers outstanding programs in arts and sciences, public policy, and human services. Offers impressive academic resources - and a less impressive guidance system. Expect admissions at schools like UAlbany to grow more competitive in coming years. A slew of extracurriculars are available to the large student body and Greek life is an option. 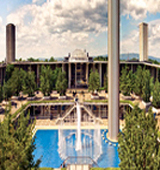 The University at Albany has a rich history dating back more than 150 years. By 1962, the College had earned national distinction. In that same year, the State University of New York system of higher education underwent a rapid expansion in response to rising needs. The College joined the system as one of four University Centers, and became a broad-based public research institution. Today, the University at Albany is a major public research university where students and faculty collaborate to conduct life-enhancing research and scholarship in a wide range of disciplines. With nationally respected programs, top-ranked professors, and a strategic location, UAlbany offers a world-class education to nearly 18,000 students at the graduate and undergraduate levels - and prepares them for a world of opportunities. What are the top 3 things that students do for fun at SUNY at Albany? The average student pays $13,979 for tuition, fees, and other expenses, after grants and scholarships. Learn more about financial aid at http://www.albany.edu/financialaid/. Estimate the net price for you at http://www.albany.edu/financialaid/npc.shtml. The typical (median) early career salary of SUNY at Albany graduates is $44,600, according to Payscale. SUNY at Albany participates in the NCAA Division I-AA for college athletics. Want more info about SUNY at Albany? Get free advice from education experts and Noodle community members. What are 5 adjectives that describe a typical student at SUNY Albany? Is university at Albany a bad university ?